No spice exudes luxury and quality as the Saffron, the most expensive and delicate spice in the world. Saffron spice is extracted from the saffron crocus (Crocus sativus), a cultivated flower, but in the Maltese Islands, we have our own Yellow-throated crocus (Crocus longiflorus). For 1kg of saffron from the cultivated kind, about 15,000 flowers are needed, with a price of €8000/kg – the labour-intensive harvesting and processing have meant that saffron became the most expensive spice in the world. In the Maltese Islands, the Yellow-Throated Crocus grows from underground corns to a height of just 1.5cm, and is also found in Sicily and Italy. 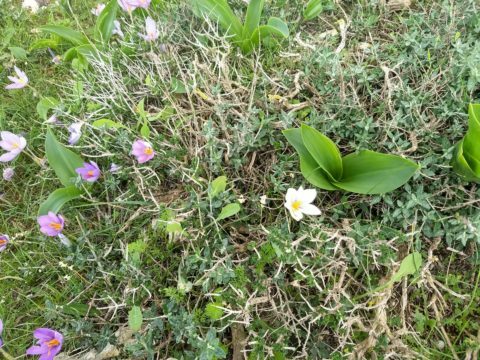 In the garrigue areas of Dingli Cliffs, this crocus plant grows frequently. The flowers is most common lilac to violet coloured, however occasionally white flowers are also encountered. Join us in our of our free eco-walks on Wednesday and Fridays – For more details email [email protected] or call on 79642380.